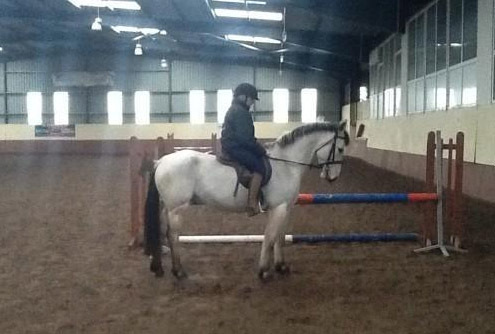 Here at Upper Mace Equestrian Centre have a range ponies for sale for children for showjumping and hunting. Please contact us for details, or call Joan on 087 839 5233. Click on the photos to enlarge and view more images. Smashing dun Connemara gelding. Rising 5yrs old standing at 14.2hh. Registered with a connemara society, Sire: Oisin naCoilltedubh SIre of dam : Glencarrig Prince. Broken and riding. Very quiet. Will hack out the roads alone and in company. Has competed in 4 training shows before Christmas. Easy to clip and shoe. No vices. Will make super working hunter /all rounder. Please contact us for details, or call Joan on 087 839 5233.